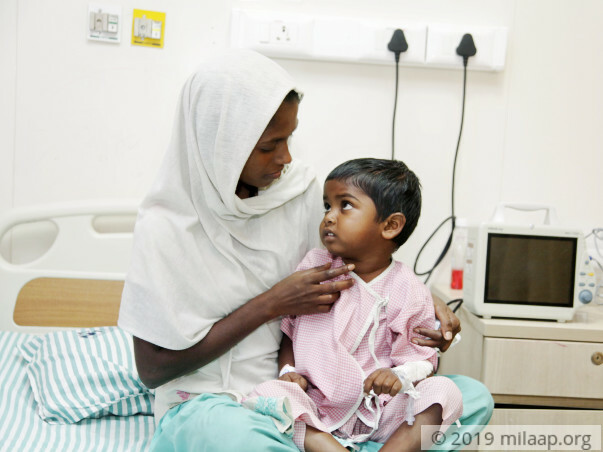 Fatima fears that her 5-year-old son, Rajhimad, might not make it given how fast his condition has worsened. 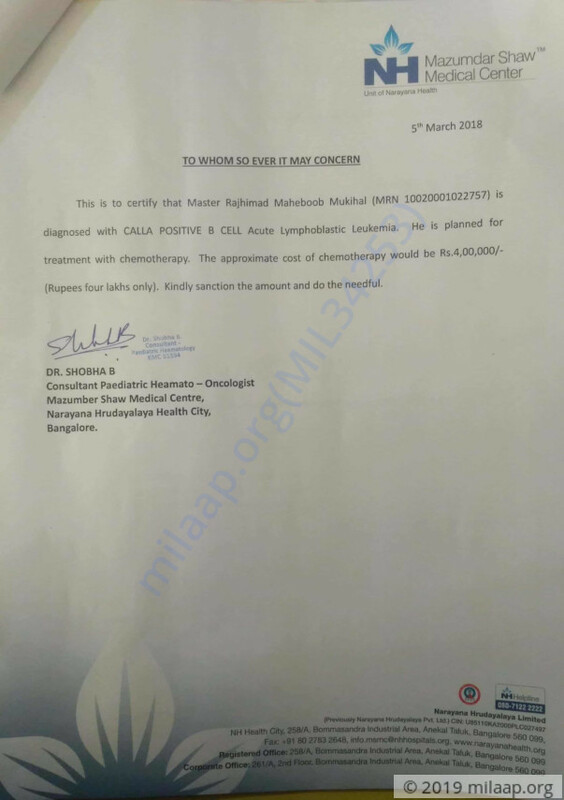 Rajhimad is in a lot of pain due to a fatal form of blood cancer. He needs additional chemotherapy to survive. Abandoned by her husband, Fatima, a 21-year-old mother of 2, has absolutely nothing left to save her son and feels helpless. 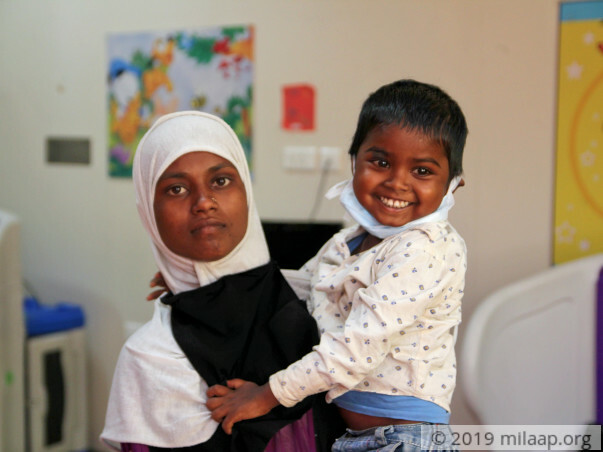 Residing in rural Karnataka, Fatima found it hard to get the right treatment for her 5-year-old, who kept succumbing to high fever again and again. No one seemed to know what was wrong with her child. 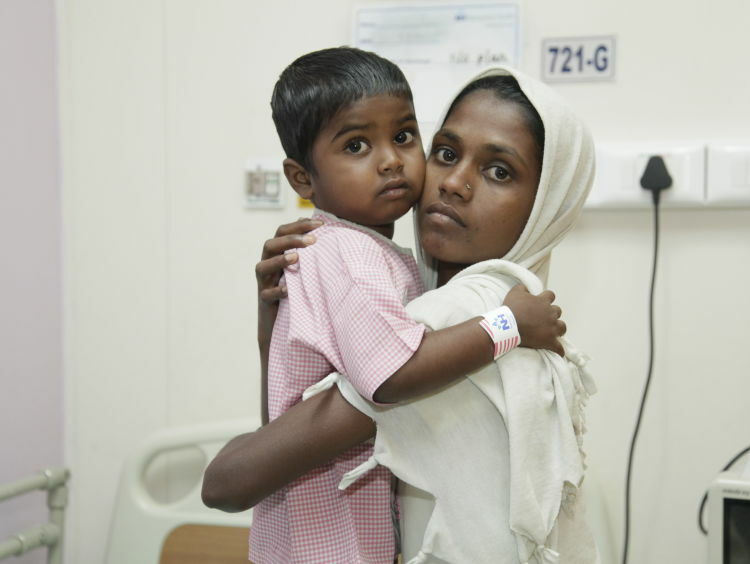 Out-of-her-mind with worry, Fatima took her son to Bangalore. 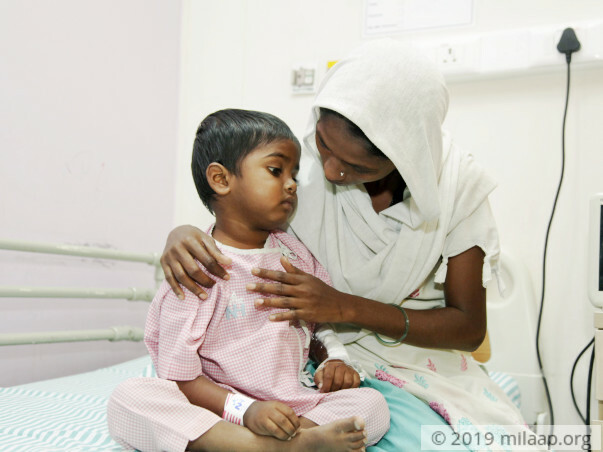 She was devastated to hear that her sweet Rajhimad had cancer. It was blood cancer that would rapidly spread all over the body if left untreated. By March 2018, the 5-year-old became extremely weak and critical. As an emergency to halt his cancer - he took 2 cycles of chemotherapy in just one month. But it is not enough. To survive, he needs additional chemotherapy for two more months followed by other treatments. About a year ago, along with her 2 kids, Fatima went back to her mother’s home because her husband was a drunk. Fatima wanted to bring up her children in a safe, more loving home. Fatima has been married for 7 years now. At the age of just 21, Fatima already has 2 kids. She was a housewife for the longest time and now she has no support from her husband. Now, she is in Bangalore, fighting hard alongside Rajhimad. Her situation is so bad that she doesn’t even have money to feed Rajhimad properly, who needs certain fruits as a part of his diet too. The 5-year-old’s only hope of survival is to get, at least, two more months of additional chemotherapy. After that, he will undergo certain tests that determine if the cancer has reduced or not. Fatima is running out of time to help her son. She hasn’t gone to a college and has been a housewife for the past 7 years. She has no job and her husband, who abandoned his family, does not support her in any way. 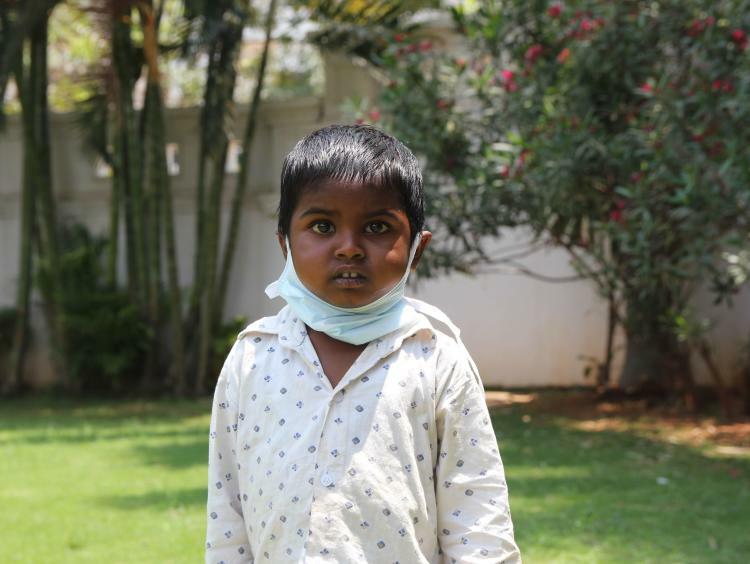 Her mother, who is a laborer, has helped her provide for minor treatments and medicines. She has borrowed around Rs 40,000, from friends and family who also borrowed from others to help the family. They have absolutely no other way of saving the child. 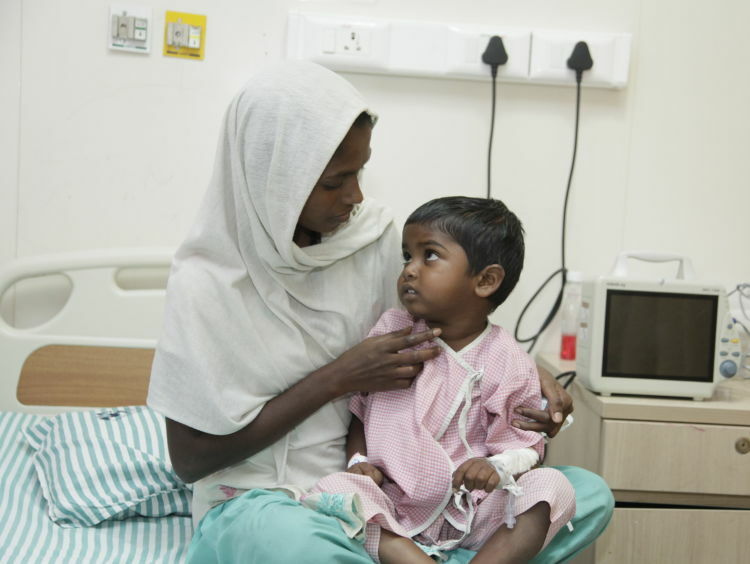 The total cost of chemotherapy is estimated to be around Rs 4 lakhs. Fatima, simply, cannot afford this and is left with no options. 5-year-old Rajhimad needs additional chemotherapy to fight a deadly form of blood cancer. His mother, Fatima, is fighting alone to save his life but she has nothing left to provide for his treatment. Now, she needs your help to save his life. Your support and contribution will save 3-year-old Rajhimad. 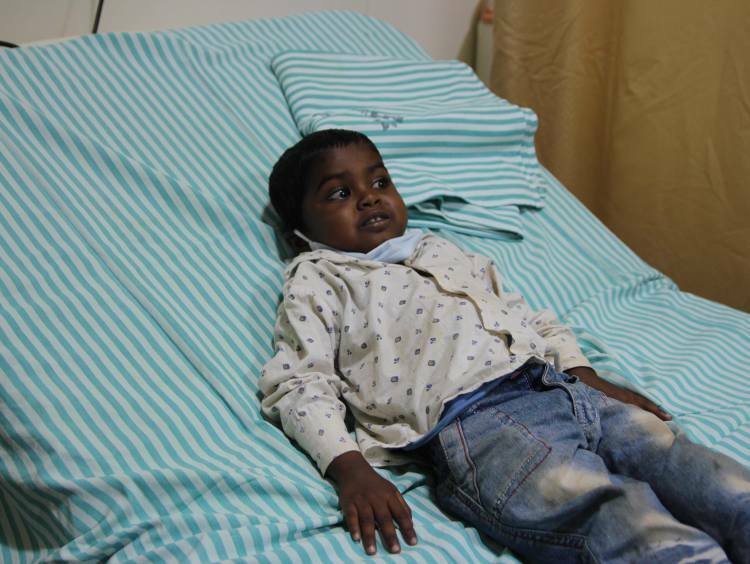 Rajhimad is doing good now and recovering from the treatment. His Chemotherapy got over last month. He is not having any side effects. He will have to visit hospital for his regular check ups. Here's a quick update on Rajhimad. He is currently on Chemotherapy and is doing well. We shall keep you posted. 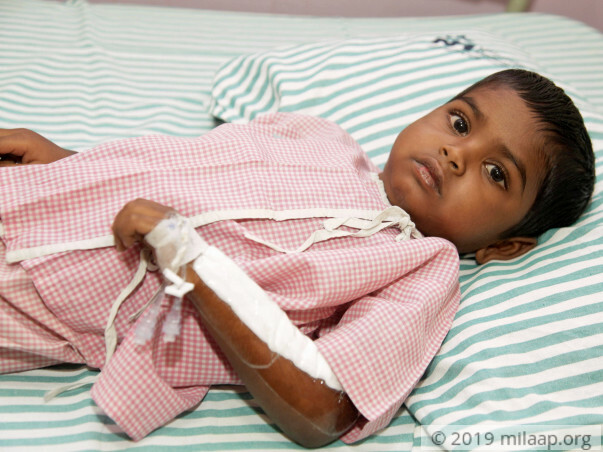 Currently, Rajhimad is at home town and is doing ok. 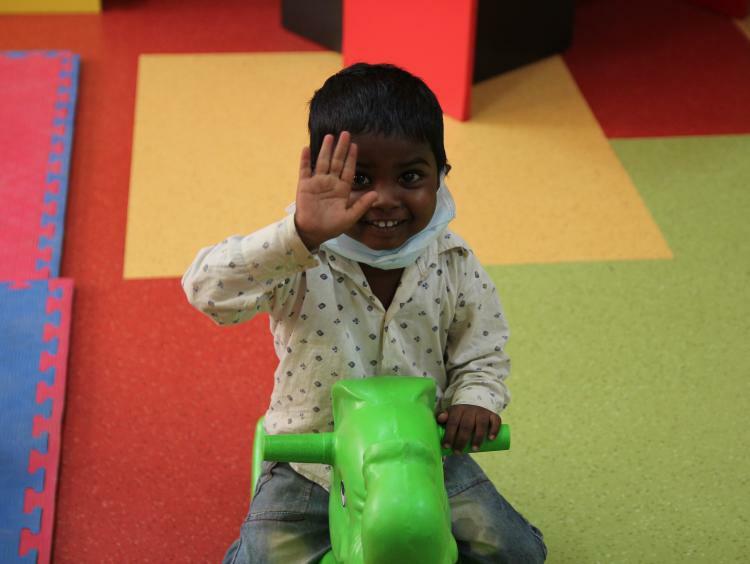 He has successfully completed 4 chemotherapy's in ward and 12 in day care. He still has to undergo 2 months of treatment for which he will return back to the hospital.